The best time of the month is soon upon us - Pay Day. Each time, I always spend the few days leading up to it, deciding what I'm going to treat myself to and have often already mentally spent my pay check before it's even hit my bank account. Whether it's a cheap purchase of something that blows you budget, it's always important to treat yourself and reward the effort put in over the last month. Just in case you needed an extra hand in deciding what to buy, I've put a list together with my top picks this month. These have been featured on my instagram a couple of times now, and you always seem to like them. I picked these up whilst living in the US and haven't seen that many people with them since returning home. The thin frame and modern take on the classic tortoiseshell print makes them stand out from other pairs. Rayban offer a few different colour variations, so I definitely recommend checking them out to find the perfect one for you and playing around with the frame and sense options. | Available: ASOS, £134. This pick definitely falls into the luxury category, but is something I feel each guy should buy at least once in their lives. With so many fragrances out there to pick from, I always find it hard to find one I like and that I feel good whenever I wear. 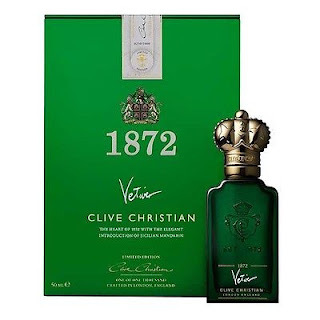 The second I smelt this, I was in love so I had to feature Clive Christian's 1872 sandalwood perfume. With both citrus and spice notes, even the bottle showcases the luxurious quality and craftsmanship that goes into this fragrance. Over time, the fragrance evolves to show a trilogy of complimentary notes and has a long lasting wear, something I always look for. | Available: Clive Christian, from £135. I have a great love for shoes and my collection has seemed to grow drastically over the past month. 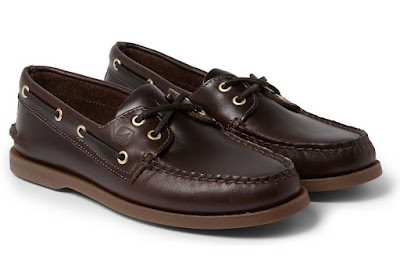 I realised the other day that I'm actually missing a decent pair of 'boat shoes' from my wardrobe so hunted these down via Mr Porter. They're a great price compared to others I've seen and are a great semi-smart alternative. I prefer the darker brown as I feel it ages well and looks better over time. They're a super easy item to wear and are perfect for a chilled Sunday. Available: Mr Porter, £85. The Cuban or revere collar shirt has become a staple of mine this season, and is something you guys seem to really enjoy. This one is part of the latest offering from Topman and I was even featured on their instagram wearing it. It also comes in a red and navy stripe if that's more your thing, but I decided on this blue and green option. | Available: Topman, £30. Watches are a symbol of a mans style, and can define his look. I was given a Fossil watch as a birthday present a few years back, and it's become one of my most favourite possessions. I always get compliments on it whenever I wear it and it seems to go with most outfits. Even if it's just jeans and a simple tee, the watch automatically smartens any look up and adds that touch of class. I'm all about a leather strap and let the watch face and body do the talking. 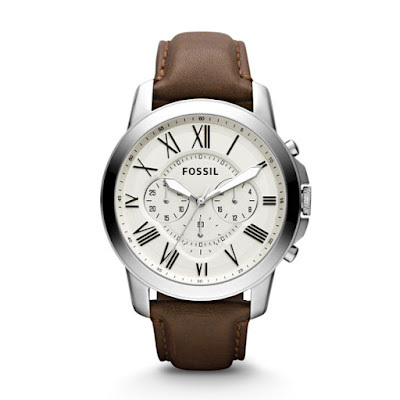 | Available: Fossil, £105.